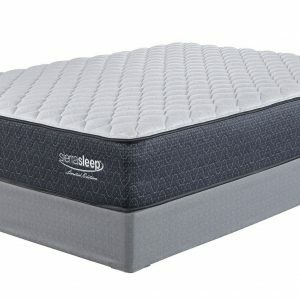 The MyGel Hybrid Mattress Set offers exceptional comfort and a great support system. 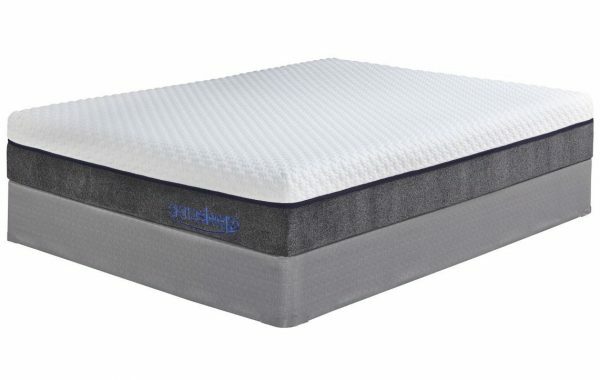 With two inches of MyGel Foam and three inches of high-density foam combined with six inches of a pocketed coil system, the Hybrid 1100 mattress is just what you need for a great night’s sleep. The mattress is wrapped in a luxurious knit cover that is removable and washable. 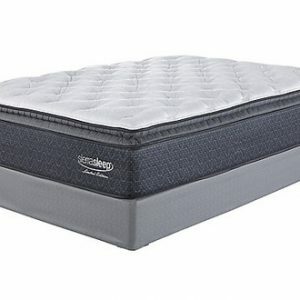 Engineered to provide your mattress with a level and firm base, the included 9 in. boxspring foundation can prolong the life of your mattress and keep you comfortable while giving you a great night’s rest. 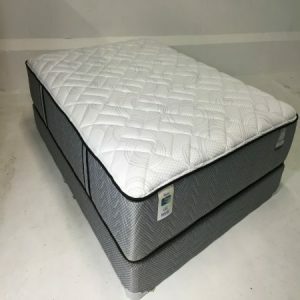 The foundation is made of hardwood solids construction with quilted side panels designed to coordinate with the mattresses. 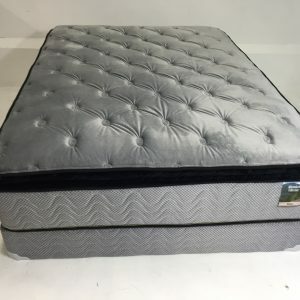 It has a non-skid top decking to prevent mattress migration and trend-right gray fabric on the sides with plastic edge caps.